“Black Friday” and “Cyber Monday” are great for online shoppers looking for hot deals. But for busy DevOps teams, these Peak Events Readiness can be times of high risk and high reward as they look towards software test automation for rapid, quality application delivery. If your website and apps work flawlessly, your company can book important seasonal revenues that boost profitability. But if shoppers encounter slow-downs or outages, they likely will shop elsewhere – damaging your brand and delivering a costly hit to your bottom line. If you think it can’t happen to you, think again. Many large, high-profile retailers who thought they were well-prepared have experienced costly problems on the busiest shopping days of the year – including companies like Best Buy, J.Crew, Lowes and Macy’s. One common culprit: The proprietary test platforms many organizations use can create quality assurance bottlenecks that make continuous testing impossible. That means months of careful planning can be torpedoed by even a single test that couldn’t be run in time. A 2017 survey by Computing Research shows how pervasive the problem can be. More than six in 10 DevOps practitioners said they experience quality assurance testing delays. And in the resulting tradeoff among quality, speed, security and other factors – nearly a third said quality was most likely to be sacrificed. One simple move that makes all the difference. What can your DevOps team do to make heavy shopping periods stress-free? It’s time to adopt open-source testing tools like CA BlazeMeter. Instead of bottlenecks, you get 100% test coverage at speed, helping you prevent devastating performance issues that can surface when your website and apps are under stress. You can test early, test often and become a DevOps rock star to Development teams that are missing test coverage today. Read more about a very real problem when accelerating test automation across distributed teams in the business. With open source, comprehensive testing isn’t crammed into windows of time before special events. Instead, it becomes part of your day-to-day test automation needs. Your developers can test for both function and load without leaving their favorite application development tool. Your operations teams can reuse scripts and monitor the health of your website and apps continually – without having to reverse engineer tests to accommodate every change. And your new open-source tools will integrate seamlessly with your favorite CI/CD server. Use virtualized global testing resources to run multiple load and performance tests in parallel at massive scale from any browser. Automatically generate test data and cases. Run comprehensive monitoring tests around the clock. Quickly simulate production network conditions and multiple connection types – from 4G to WiFi. Integrate risk assessment and security testing. Share results in real time. Collaborate freely to resolve issues and shorten your build/test cycle. Ultimately, your entire testing process becomes streamlined and efficient so you never have to sacrifice quality for speed, security or any other factor. You might even find time to sleep in on “Black Friday” and “Cyber Monday” or to do some shopping of your own! It’s time to take the stress out of the holiday buying frenzy. BlazeMeter helps you blast through bottlenecks and bring continuous testing to life. Anyone in your DevOps chain can run SaaS-based, open-source tests at any time, from anywhere. 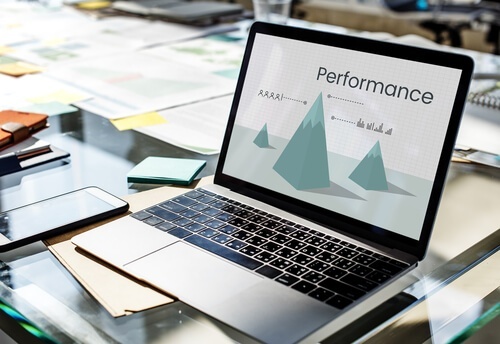 You can validate performance at every stage – from code development and application build to delivery and production. Take your first steps in converting your legacy LoadRunner scripts to Open-Source JMeter in minutes. Next, visit our website to explore the features of BlazeMeter and request your free demo!